"Where we all can be as one"
Where all your cares float away. A place to meditate and pray. A place where people really care! 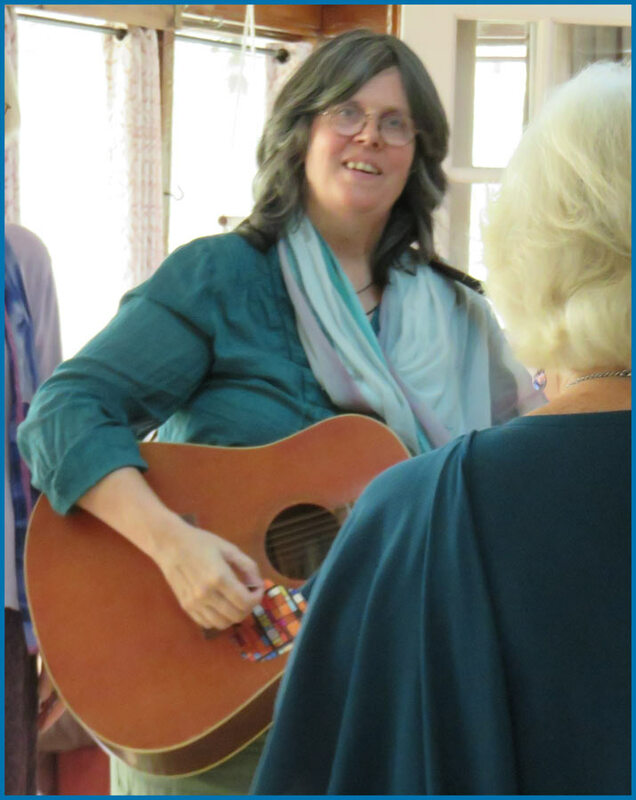 This song, composed by our talented and dedicated guitarist Kathy Staines, conveys the ambiance of our north Florida retreat center and monthly dance venue. 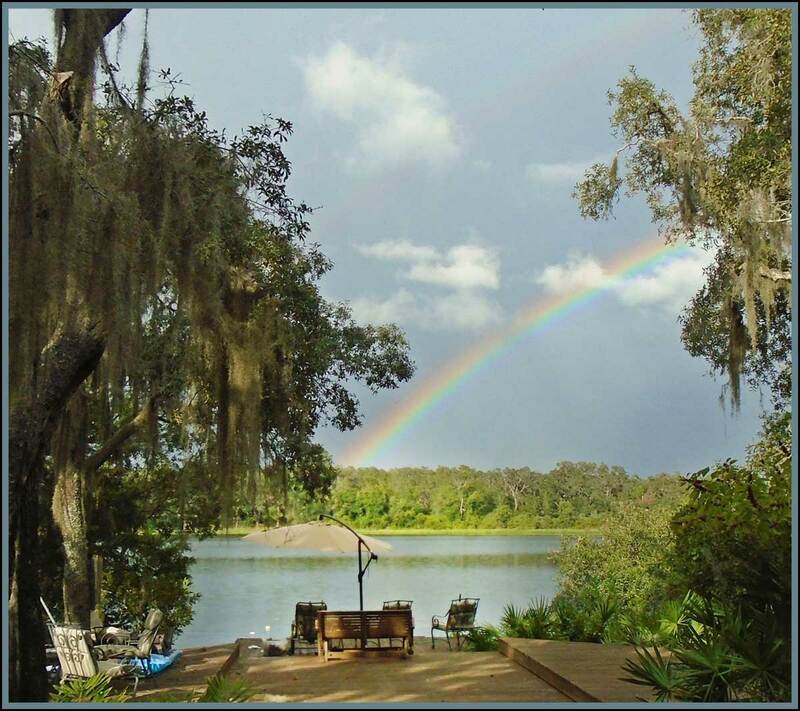 Over thirty years ago, my husband, Allan McRae, and I were visualizing and praying for a place with woods, water, and wonder for a home site. What we found exceeded our hopes, with a heart-shaped lake out front, old oaks and pines, plenty of native foliage, and a large house, which all needed loving care and lots of physical labor to bring out the beauty. After my beloved Allan died in 2000, I renovated the house to let a large dance room emerge, and added the cottage and several little screen rooms around the 50 acres of woods to provide rustic accommodations. 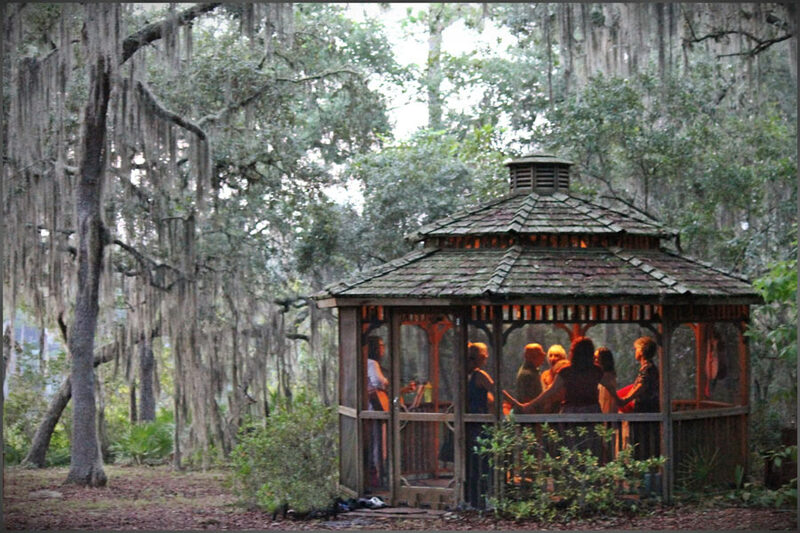 Being an hour from almost anywhere (Gainesville and Ocala the closest towns), would anyone come into the unknown countryside for Dances of Universal Peace? Ya Mujib! The answer, a fulfilling yes! And now eighteen years later, we have hosted countless dance and zikr weekends, plus over thirty longer Dance retreats with well-known leaders, and also dance leader trainings and Sufi meetings. 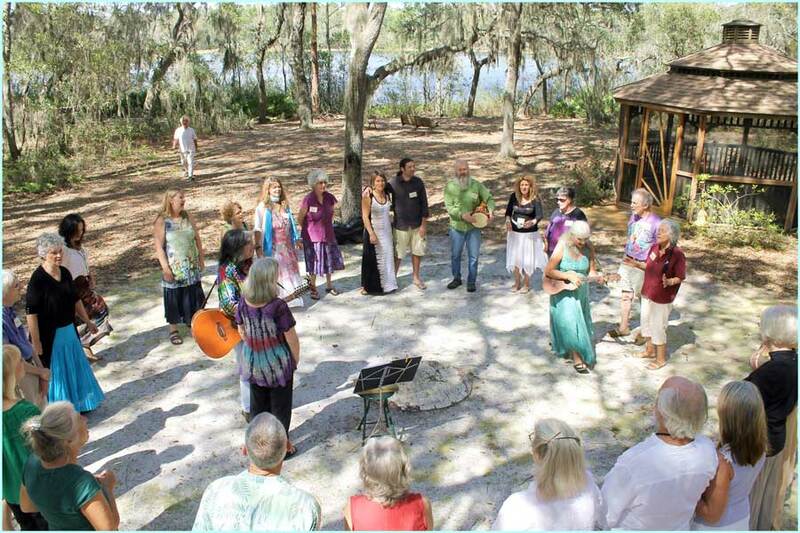 "High among my all-time favorite life experiences are the recurring occasions of coming together for these dances, dedicated to the fervent hope for peace to prevail upon earth, I continue to find myself touched at the core to be standing in a circle, with twenty to thirty kindred spirits. 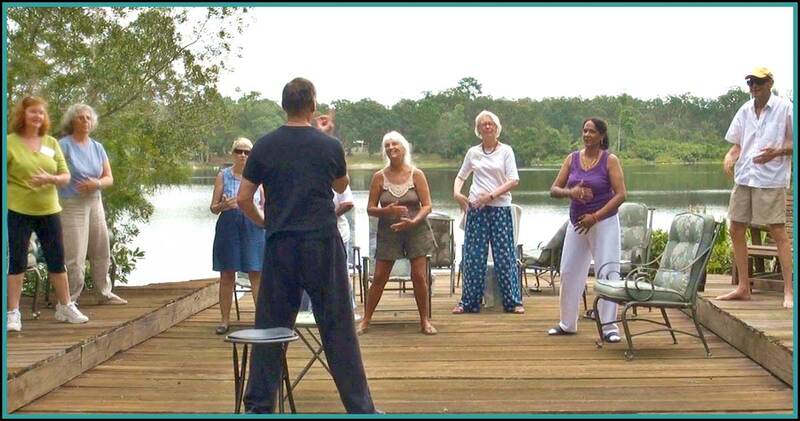 We are moving, chanting, singing, mostly in unison, sometimes in parts. Again and again and again. I am transported to a place of rich appreciation for all traditions, for this convergence of all that�s held sacred." We dance for a couple of hours in the afternoon to simple, stirring, entrancing music of guitar, viola, cello, and percussion. On occasion we have also enjoyed the accompaniment of flute, keyboard, stand-up bass, hammered dulcimer, and even a visiting harp player. Following the unifying gratitude of a singing grace, we relish a vegetarian potluck buffet spread out in the large cottage porch where we eat and nurture friendships with a splendid view of Beauty Lake. 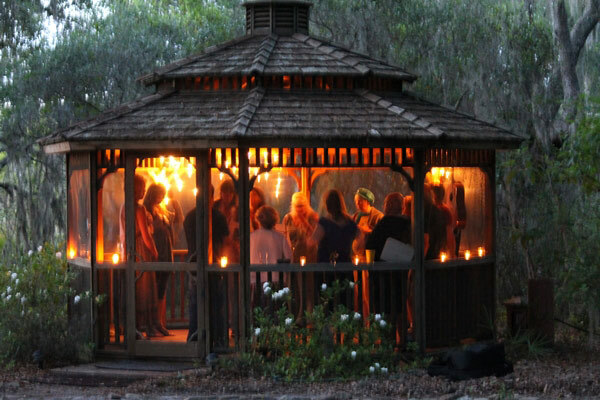 Back at the house, or sometimes in the Gazebo, we gather for zikr, deepening into our connection with each other and the divine. With an average of 25 dancers at the 'regular' dance every month, some 250 to 300 dancers come every year, most for the day; others who travel from 2 to 5 hours away or even out-of-state spend the night and have a pleasant breakfast together, feasting on eggs from the happy, free range chickens in the yard. "Thank you for one of the best weekends I've ever spent. 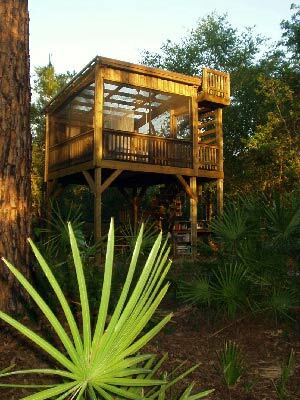 How often do you get to sleep in a swinging bed in a tree house? Your house and grounds are so beautiful - really a paradise. Even your animals are picture perfect. The image I will hold in my head for the weekend is Charlemagne the peacock, dancing in the background as you were teaching us a dance. The whole experience was magical. The love, energy and pure joy of the dances have me intoxicated. Thank you for having these dances at your home, letting us experience paradise for an afternoon." Occasionally individuals come for solitary Sufi retreats, to immerse themselves in nature, and do practices in serene surroundings. 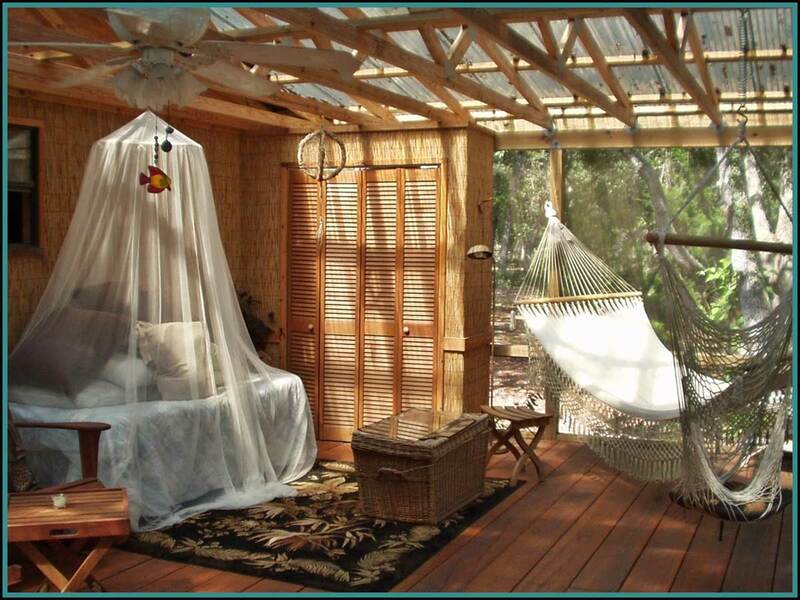 Few locales are as natural, beautiful, quiet, and private. 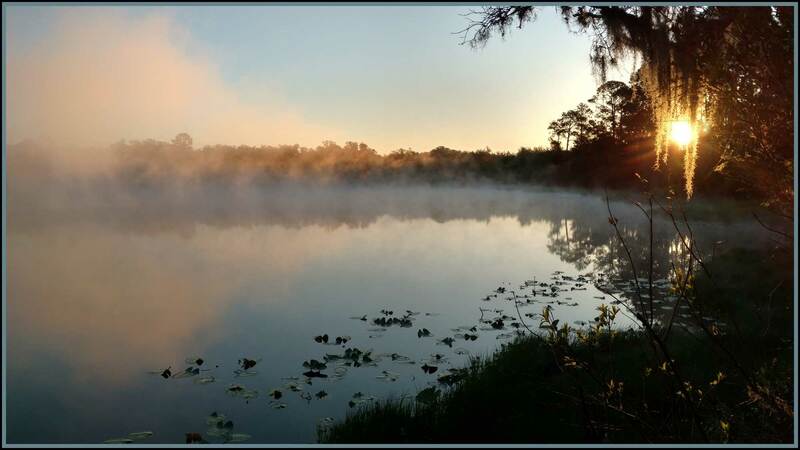 When you are in Florida, visit us at the 'Yellow Gate' on 4th Saturdays. Meanwhile, you can subscribe to our monthly e-newsletter on the website. A peacock dancing in the sun. Where we all can be as one. 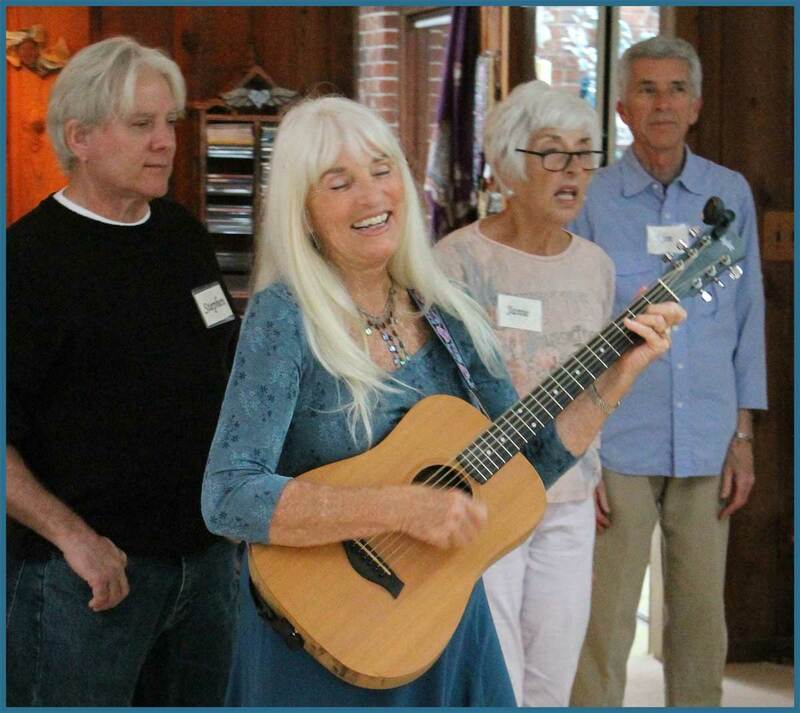 This article first appeared in Dances of Universal Peace North America (DUPNA) newsletter Summer 2018 issue.